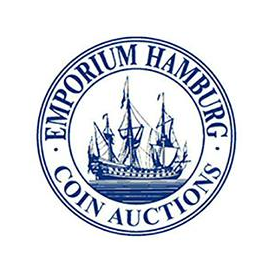 Our wide product range offers all kinds of world history coins: From the shores of ancient Greece to modern Europe and the Euro. In order to be able to offer you a large selection and wide variety of products, we update our product range on a daily basis. Moreover, we update you on current auctions and special offers with our newsletter-service. Be with us and benefit from this comfortable service. If it should be the case that a certain coin cannot be found by making use of the specific category, you still have the opportunity to use the search function.